Lock-In for Love was a tremendous success this June as animal-lovers across the province volunteered to be “locked in” with a furry friend to help raise funds for animals in need. Participants partnered up with adoptable (and adorable!) dogs, cats, and small critters to invite friends, coworkers, and the community to make donations for their release and raise awareness of animals up for adoption. Our amazing participants have gone the extra mile this year, raising thousands of dollars beyond their goals for more than $125,000 with events still to take place in some communities. A special thanks to our dedicated fundraisers who take part every year who helped us to surpass our goals. Klaudia Van Emmerick, involved for five years in a row, raised an outstanding $14,266 for local animals at the BC SPCA Kelowna branch. In the span of her involvement with the event, she has raised an incredible $50,000+ for the BC SPCA. 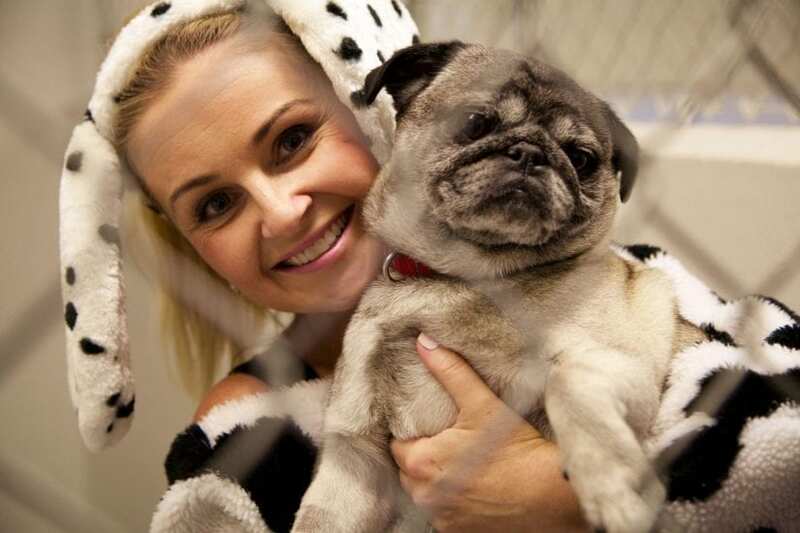 Her passion and dedication to animals prompted her to launch a weekly TV adopt-a-pet segment featuring animals looking for new homes and new families to love. Another incredible supporter on her fifth anniversary of participating in Lock-in for Love, Erin Cebula, called on her friends and followers in Vancouver to help save lives by raising an incredible $8,700 – her biggest victory yet! 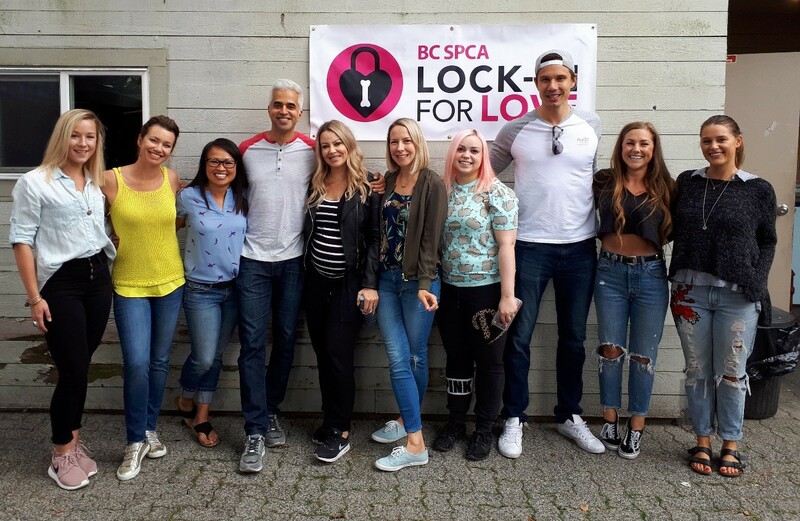 Thank you to all the participants, donors, and volunteers who make Lock-in for Love an amazing success in BC SPCA branches province-wide. The generosity and compassion of all the participants provides lifesaving services across the province, including almost 10,000 cruelty investigations each year. Want to find out more about Lock-In for Love and other ways to raise funds that save lives? *Sign up* to hear the latest news! For more information on our Generosity in Action program, please contact Erin Walkey, Director of Philanthropy, Revenue Development 1-800-665-1868.